As with most hilltop towns in this part of the world, the views were stunning. 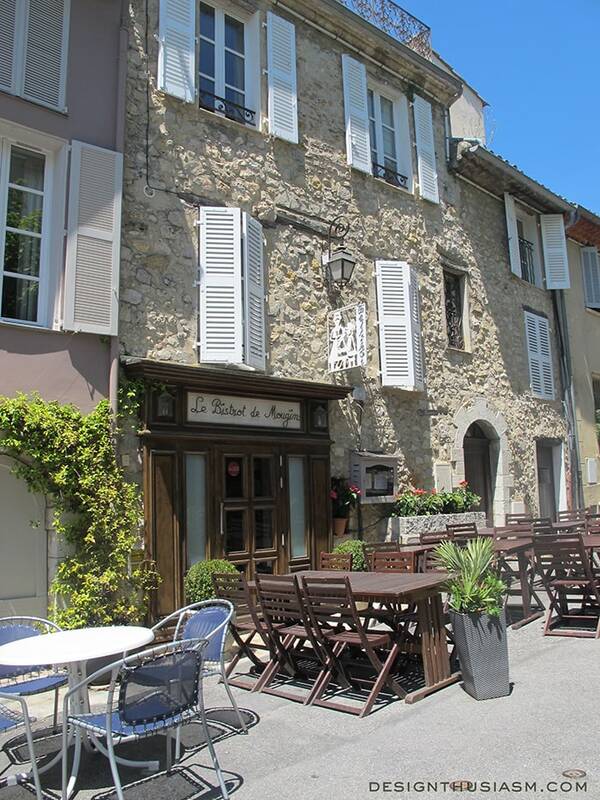 A wonderful place for a relaxed Provençal meal, Le Bistrot de Mougins. So we wandered instead, enchanted by the way the colors of the village reflected the natural scenery surrounding it. 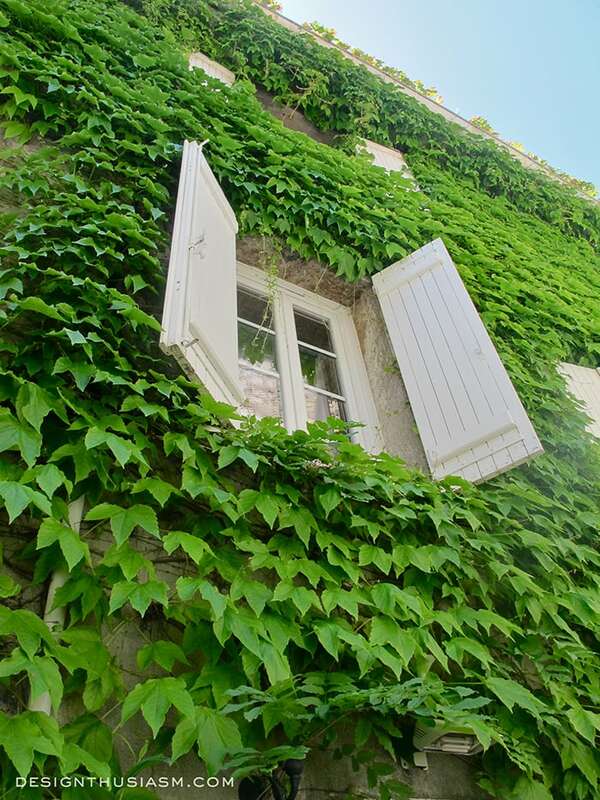 Ivy covered stone facades with perky white shutters opened to the clear day. Delicious small shops tease as you pass their inviting window displays. I must admit I didn’t leave empty handed. These delicate window boxes charmed us in their pale blue setting. Greenery, sunshine and lace. C’est magnifique! Wow Lory, it’s like a French fairy-tale! 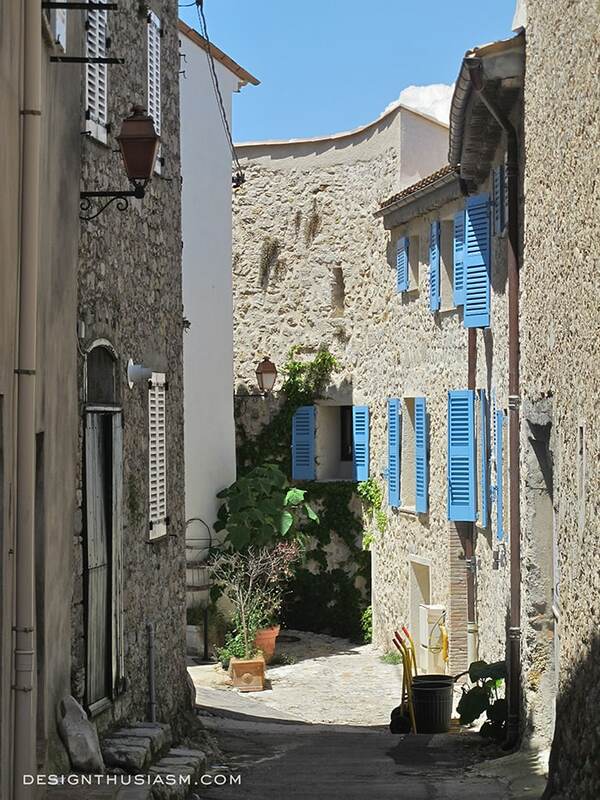 Your photos are just beautiful, I’m dreaming of the South of France. 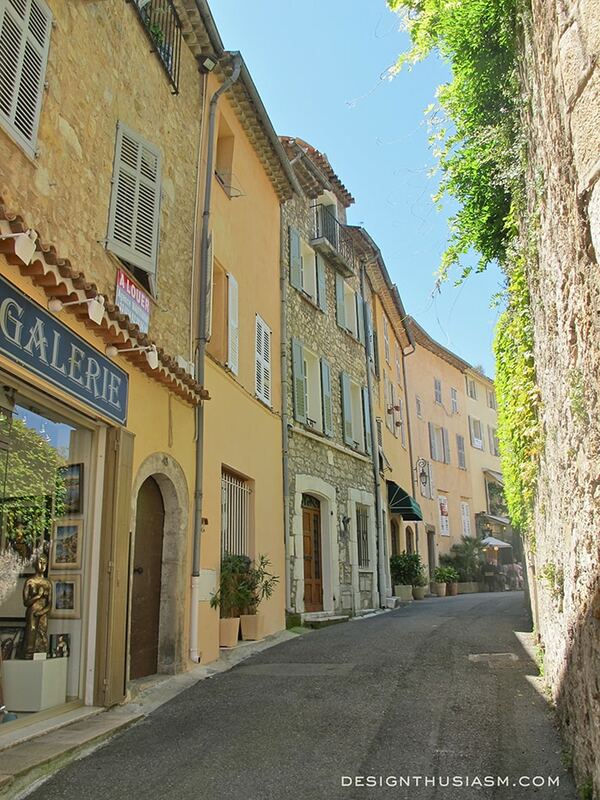 Your photos of Mougins are magnifique!! I literally feel like I’m there, as your images are grand and detailed! Such stunning, yet simple, architecture, and although very French, it could easily one of many quaint, hilltop villages of Greece! I love the look of ivy clad, ochre facades, so fresh and revitalizing, and romantic! Have already taken the liberty of showing myself around your gorgeous home, and stopped to smell the peonies – one of my treasured favourites, and one that doesn’t thrive in the Med, so your beautiful bouquet was extra special. Thanks for stopping by Poppy View and hope to see you again soon! Thank you so much for your delightful comment! I suspect we’ll be enjoying each other’s posts quite a bit in the future… 🙂 Happy weekend to you too!! Absolutely delightful French village!!! I would have been in heaven strolling around that town. So. Much. Charm. Thank you so much for stopping by and introducing yourself. I need to check out more of your blog now. 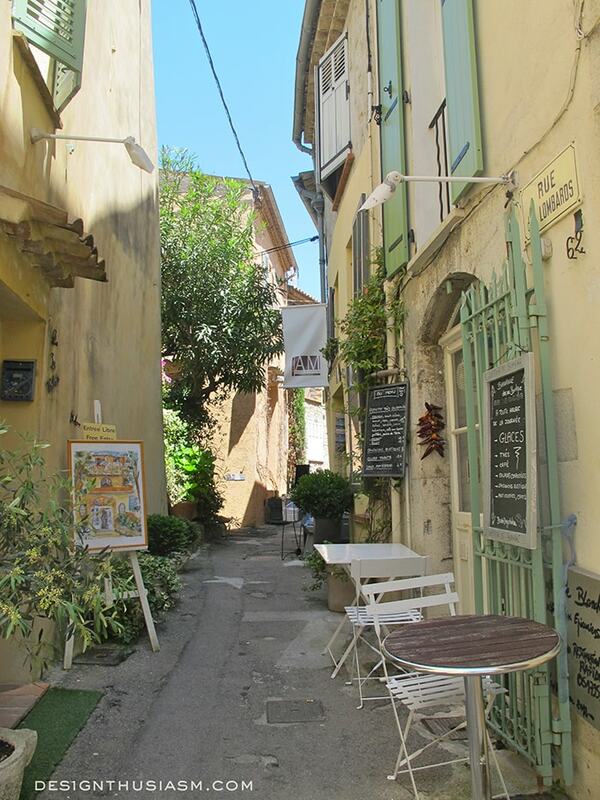 Oh, I tried to get to every town on the Riviera I could: Biot, Menton, Vence … but I missed Mougins. Now I’m really sorry – It looks stunning! One more reason to come back. Yes, I agree. So many great towns. Always a reason to return… 🙂 Thanks for enjoying the pics! Dear Lory, Thanks so much for coming by and taking the time to leave a comment. I appreciate every one of them. Your website is beautiful! And this post is stunning . . . Your photos would make a beautiful gallery wall. I love ‘story-telling’ photos! I’m looking forward to taking a peek around. Thank you so much Suzanne!! I, too, appreciate you taking the time to stop by and comment… 🙂 Enjoy looking around!! Oh the colors! Each of your photos would be a magnificent painting! Wonderful photos. I have not been to southern France only the Normandy area and Paris. Maybe the south next time. Ah, and I’ve not been to Normandy. So much yet to still see! Thanks for stopping by, Christy! 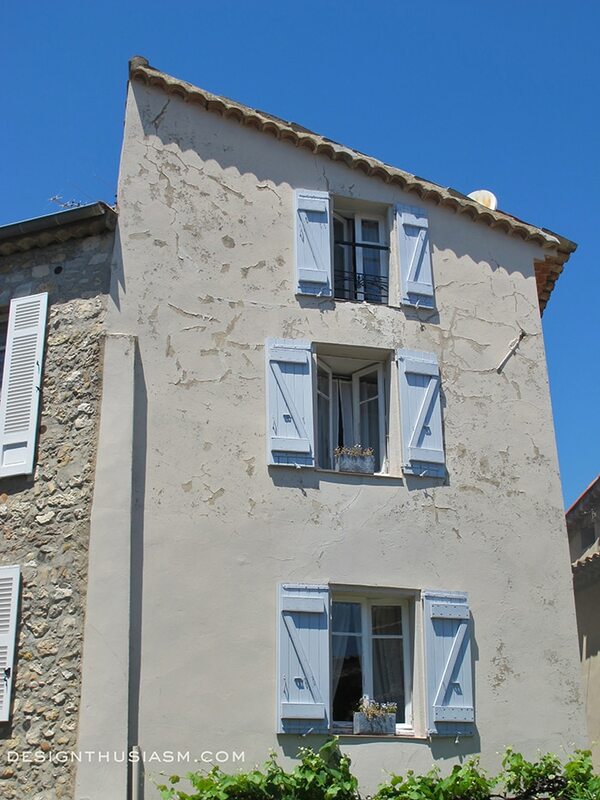 I can see we are like-minded about shutters and la belle France. 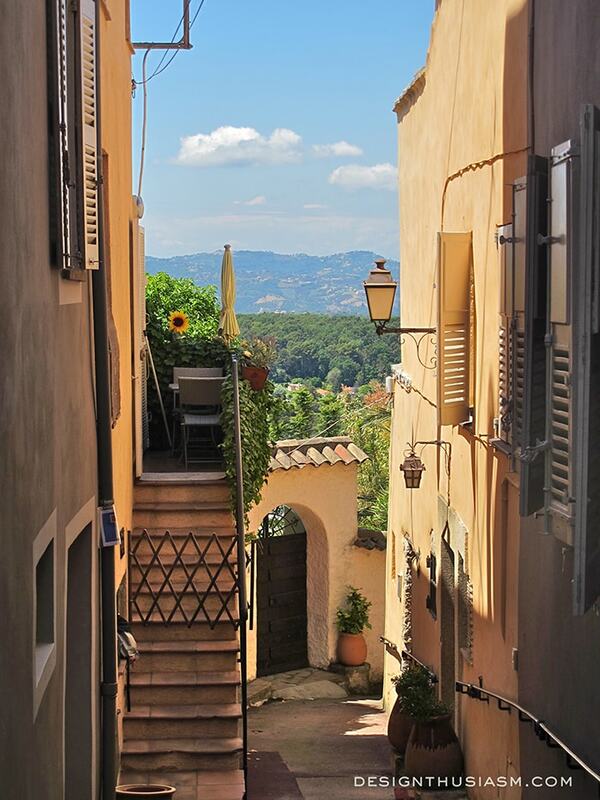 Mougins is one of my favorite spots. So picturesque. gorgeous village. thanks for sharing. Thanks Felicia! Thanks for stopping by, as well. Beautiful! I am so jealous! Ha! No those are great photos of a wonderful place! Thanks for sharing! Oh!!! So much beauty..those windows!!!! Question for you: how do you get your furniture home from Europe? Hi Joyce! I usually just buy smalls in Europe that I can carry home (lighting, vases, silver pieces, etc), but you can pay for shipping if you want. For furniture pieces, I usually go to antique stores in the US that I know carry European furniture. Since they buy a lot, they can fill a full container and ship much cheaper than if I bought one piece from Europe myself. 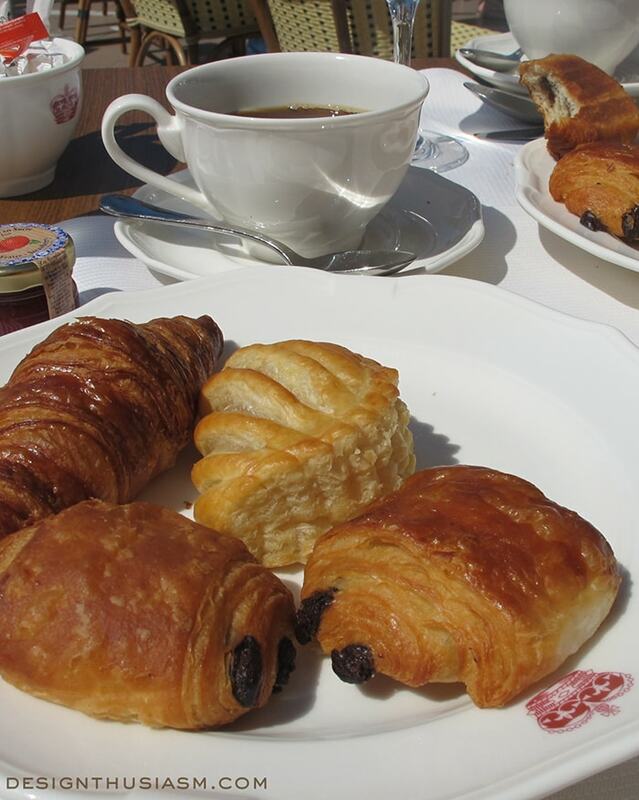 What a feast for the eyes first thing this morning, although the French pastries have left my mouth watering! Thank you for sharing. 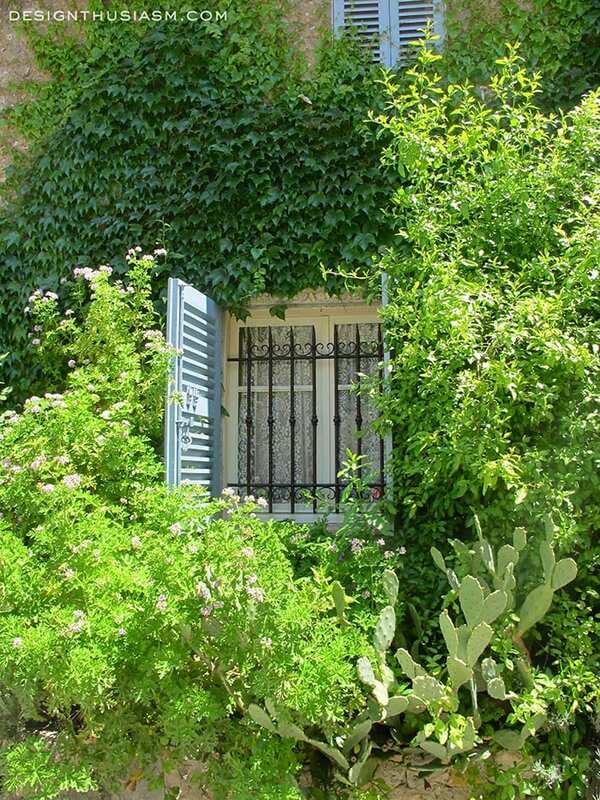 I’ve been reading novels set in Provence and these pictures are the perfect backdrop. Merci, Lory! Ah, yes, I share that pleasure! If you have any novels you can recommend, I’d love to know… 🙂 In any case, glad the post made you smile this morning! !